I know...this isn't how you expected this post to begin. Stay with me, though. So-I don't like celery. And Michael can only eat so much before he's over it. BUT sometimes I like celery in things--such as soup. But then I always have leftover celery. And it's like...gahhh...what do I do with all of this? Freeze it. Use it for future soups. DUH! I came up with this idea while making this soup for Michael and I crossed my fingers that it would work...and it did! It's actually pretty simple-and is going to save you time in future recipes! You just chop up some celery (I could write poetry to my new chopper) and spoon into an ice cube tray. Freeze it. 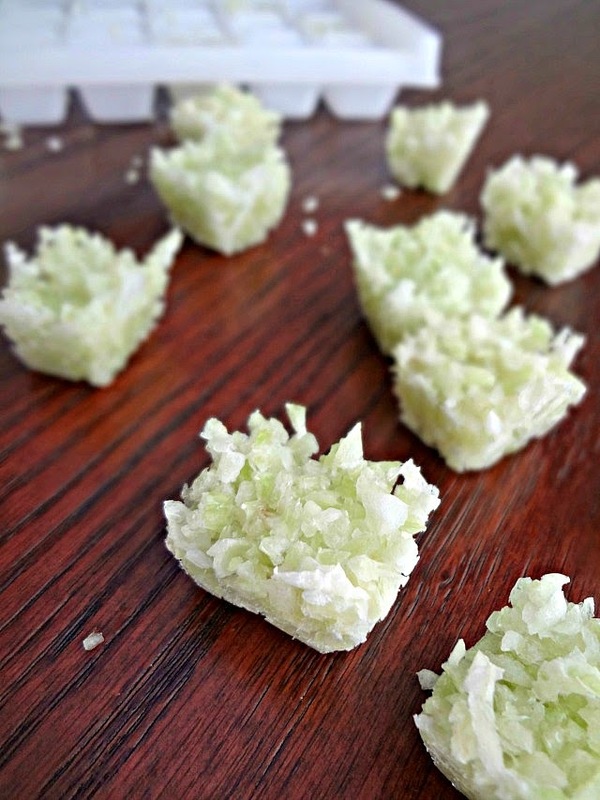 Pop little cubes of frozen celery out. Put them in a bag. Keep frozen until ready to use! And then--just pop them into whatever you're using. Generally the celery is just saute'd or cooked in a soup so really it will just add a smidgen bit of extra time to that step. Other than that it's pretty much normal. This is such a game changer. 3-4 celery make approx. 6 cubes of frozen, chopped, celery. Thoroughly wash celery and dry. Chop the celery up. 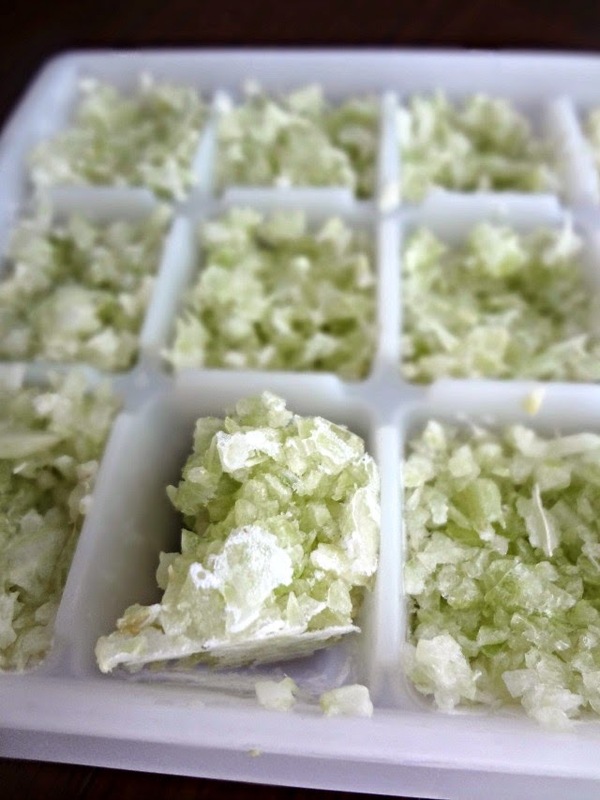 Spoon chopped celery into a clean ice cube tray. Freeze (about 1-2 hours). 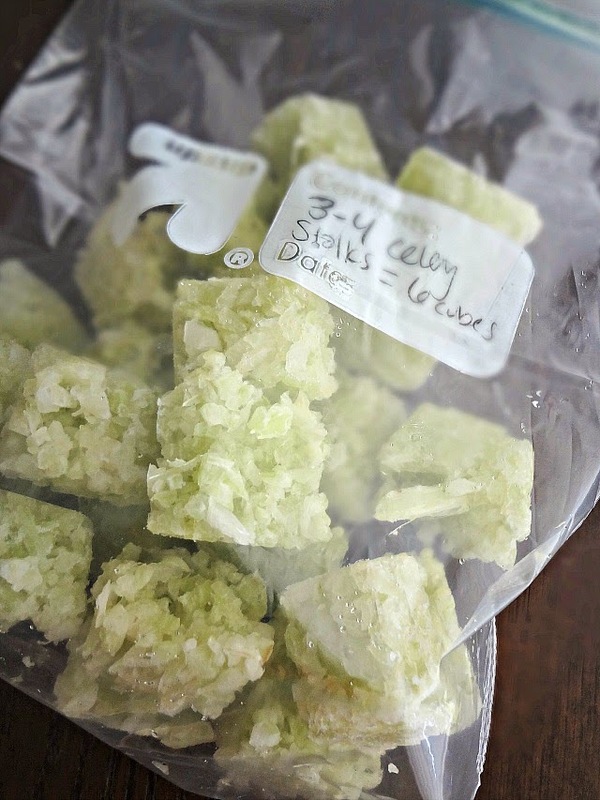 Pop the frozen celery cubes out of the tray and place in an airtight container/freezer bag. Label how many celery are within the container (3-4 celery make approx. 6 cubes for me). Store in the freezer for up to 6 months. Use as usual in soups or stews--just add a little bit of extra cook time.